God wants to answer our prayers. He wants to give us good things and for us to live within the limits and boundaries of heaven right here on earth. When Jesus taught his disciples to pray, one of the first things he told them to pray was: ‘Your kingdom come, your will be done on earth as it is in heaven’. We are meant to boldly ask God that His will and reign would come into all the areas of our lives and the lives of those around us. We are meant to ask for healing and provision and breakthrough - they are all part of His will. So why is it that sometimes our prayers are not answered or at least, seemingly unanswered? Feeling like our prayers are falling on deaf ears just isn’t true. God hears all of our prayers. So why aren’t we seeing the results we hoped for? Could one of these 5 reasons be why God is not answering our prayers? 1. We think worrying about something is the same as praying. We are missionaries in Peru and our monthly promised support does not match our monthly outgoings. So this month, as nearly every month in the last year, we have a shortfall. Usually our shortfall is about £300 / $500 a month but last month’s was larger than other months - it was around £2000 / $3000. Every month I go through our finances, look at what we have spent in the previous month and plan for the month to come. I look at what we have in our accounts and then work out how much we are going to have left over at the end of the month. Or rather, how much we need to pray in! Every month in this past year we have asked God specifically to meet the shortfall with a specific amount and each month God does. Every month I am tempted to have a little fear-wobble for about 10 seconds until I remember that God has been doing this for 10 YEARS! We have never met our monthly budget needs with promised monthly support, but yet God has been faithful and responded each time. 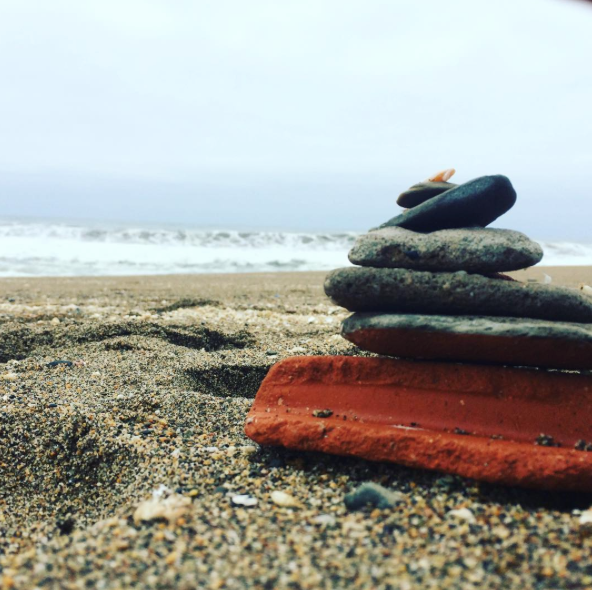 When we were first in Peru we didn’t actually ask specifically, just generally: God provide! But it is so much more fun when you ask God for a specific amount and then you see Him respond with a specific amount. So much more fun! 3. We often don’t understand how prayer works. I think one of the reasons we get discouraged quickly when it comes to prayer is that we often don’t understand how prayer works. Although God does often respond quickly to our prayers, there are probably just as many times when we need to see prayer like seeds planted in the ground and we need to recognize that God is working, it is just not visible in the seen realm yet. We need to have faith and believe that our prayers have been heard and that God is working. Yes, not always as we imagined, but how many spiritual abortions are happening because we just give up too soon and stop watering the seed? Some seeds need more time and more watering that others. Some are choked out because the weeds of doubt and despair around them are watered more than the seeds of faith. If we don’t quit, we win… - Brian Johnson. 4. Our motives are wrong. Ouch. I know. We don’t like to think our motives are wrong, but so often they are. We want, want, want because we want to be comfortable and feel like the world is all about us. We like the verses about God’s blessing and conveniently shelve the ones about taking up our cross and sacrifice. We fail to recognize that resurrection and glory came AFTER the cross and we just want to get there without the hassle and resistance. Promised land on our plate, please. Without any fuss. We want more things and holidays and big houses, or if you are like my kids, you want more Pokemon toys and more legos and more screen time. Sometimes those things are appropriate, especially if they are investments for the kingdom (not so much the Pokemon, but holidays that strengthen souls are great kingdom tools!). But sometimes we have to wait for special occasions and sometimes God just knows that our hearts are not aligned with Him. Now if one of my boys asks me for some lemon meringue pie then our hearts are more aligned and that child is more likely to get a positive response than if he asks me for a new toy (wait until your birthday, son!). 5. We are not attentive to God’s response. And finally sometimes God is actually trying to respond to our prayer and we just don’t recognize it. What is meant to be His blessing is seen as a curse or a slap in our face. When Naaman, all leprous, was sent to a stinky river to wash away his sores, he felt God was insulting him and was reluctant to go. It was only when his servant girl pointed out that it was worth a shot that he humbled himself, washed himself and became baby-skin clean. Sometimes God works miraculously and the answer to our prayers appears, but sometimes God is trying to show us how we can participate in the answer. We may be asking God for provision and he may be saying we need to sell something or get a job. Equally, we may be asking God for breakthrough at work and He might be saying - you need to get out of there - breakthrough is coming for you elsewhere. How often do we ask God to do something and then run away before He tells us what we are meant to be doing? Do we ask God how we are meant to respond to the prayers we have prayed? There are three options: 1) letting it go because it is not God’s will 2) trusting, resting and waiting or 3) becoming part of the miracle. When the disciples told Jesus that there was no food left for the crowds, he told them: you give them something to eat. They must have looked totally horrified at Jesus because all they could think was: where are we going to get a year’s salary to pay for all this crowd to eat (plus they could all just go to their own homes!)? But Jesus showed them access to the heavenly realm of provision and over 5000 men, women and children ate to their full. Are we willing to have our eyes opened to see what God is wanting to do and to participate with Him, even if it costs us our pride and we have to step out? 5) Ask God how you now need to respond. I’m excited to hear how God answers your prayers! Do let me know! Also, remember intimacy with God starts with just a little bit of time set aside. 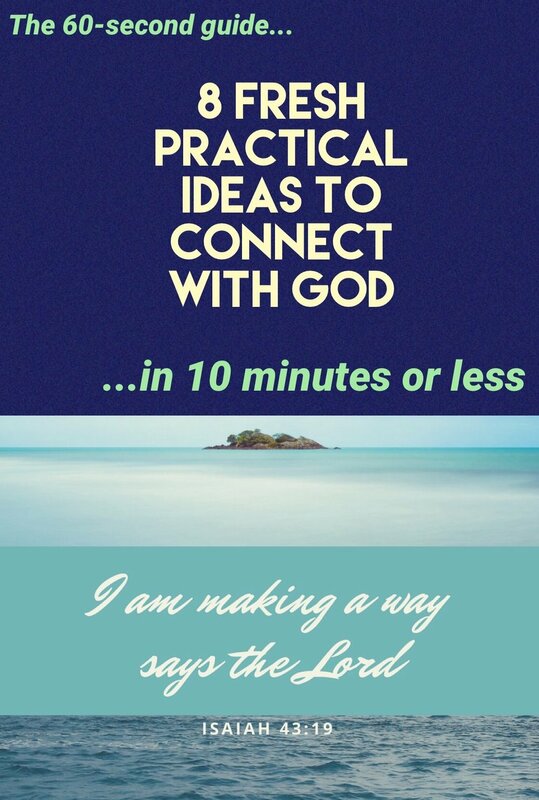 I know life can be busy and distraction so I have put together a 60-second guide with 8 ways to connect with God in 10 minutes or less to give you some ideas for this week. Click the image below to get your free copy now.